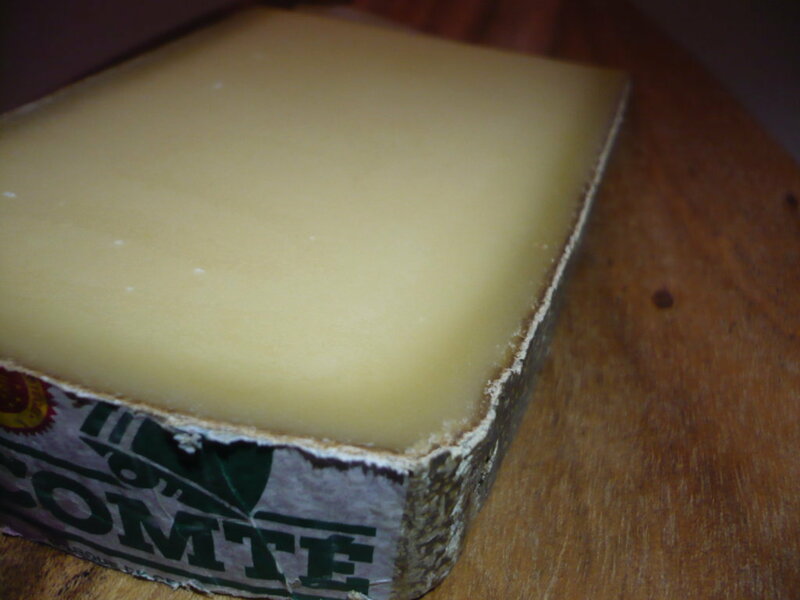 The comté is a cheese made from raw cow milk. It is the first French appellation of controlled origin in terms of consumption (50 000 tons). These are the simmentales and Montbeliard cows fed with grass and hay in the Jura, which give the milk of this cooked pressed cheese in which one sees holes no bigger than an olive. 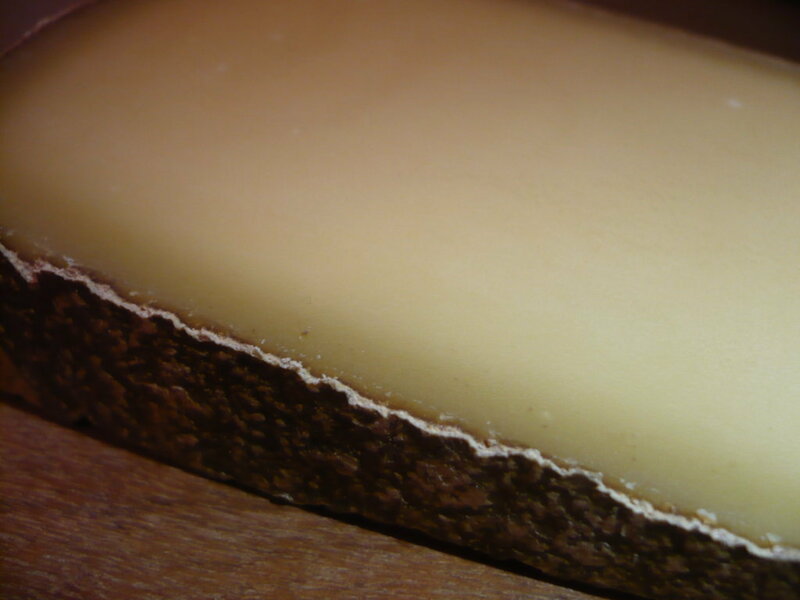 It is ripened on spruce planks at least 4 months but you will find the counties of 24 months or more. Some beautiful refining cellar may be visited as is the case at theFort des Rousses held by Arnaud. As some you may confuse Emmental, Gruyère and the comté because you grate them all with delight on your pasta. Know that Gruyere and Emmental are two separate Swiss AOC. Emmental has holes, due to the production of gas during refining while and Swiss gruyère has none. This one is also very nice in a fondue with the comté. The gougère is nationally known but Burgundy is particularly fond of this gluttony. This is a recipe that I have from my grandmother Jeannette Devillebichot, almost a family secret! It is easy to make Gougères but the point lies in the softness they keep up during tasting. First of all you must choose a Comté 10 months old. Do not buy it already cut, grate it yourself in a reel grater. Slices will be cooler and sleeker. This is important for the mixture. For about 30 gougères, heat 25 ml water (1 glass) and when boiling add margarine and 80g (mixes well with flour) and a teaspoon of salt. Stir and add 150 g flour. Remove immediately from heat and beat with a wooden spoon until smooth. Return to heat until the dough no longer sticks. Remove from heat. Put a whole egg and beat. Once well blended, start with 3 other eggs. Finally add 100g grated comté. Mix well. Then grease your baking sheet and make small balls of 3 cm in diameter with a teaspoon. Halfway up in an oven at 250 ° C bake for 15 minutes. Gougères are good when they are golden and resistant to the touch. Bon appétit from Jeannette! 7 votes. Average: 3.71 / 5.